Getting your business ready to hire an outsourced accounting firm isn't as hard as you might think. I thought I would write a quick guide for everyone thinking about making the switch. Hopefully this helps you make your transition as smooth as possible. Before we get started, let me preface by saying that your outsourced accounting service should have a process in place to make this as easy as possible for you. There's no reason for you to stress about the details. After all, you've hired them to make your life easier. When you hire an outsourced accounting firm, plan on about 2 to 4 weeks before things really get rolling. It could take longer if your books are behind. Make sure to pull out your B.S. meter if the salesman says that they'll have you up and running in "no time". As you'll see by the checklist below, there are quite a few things to think about. Make sure to ask them about their process for setting up a new client. If they dodge question, you've got the wrong company. Make a list of things that you love and hate about your accounting: This is an important step. Try not to go into your new business relationship blind. If you have a sense of what's frustrating you about your current accounting system, you can point that out before they get started. There's nothing worse than realizing six months into it, that the original problem is still present. Identify your accounting goals: What do you hope to gain from their expertise? Are you looking for a better reporting system? A better way to track cash or profits? If you focus on your most valuable goals first, you can manage the expectations gap. Create a backup of your accounting software before you start: This is a good idea regardless of hiring a new accountant in-house our via outsourcing. I've spoken with a lot of entrepreneurs who have told me nightmare stories of hiring "bad accountants". Yes they do exist. Not all accountants are good at what they do. One tip is to make a backup copy of your accounting software so that if you hire a bad apple, you can restore the backup and start fresh. It's not ideal, but at least you're not digging yourself out of a deeper hole. Create access to the accounting software: This one is obvious. Your new outsourced accounting team is going to need access to your software. 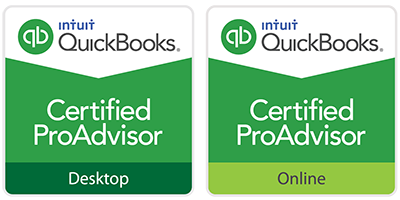 At Ignite Spot, we usually get a copy of our clients QuickBooks files and host them on our secure sever for access via the internet. If your new accountant doesn't provide that level of service, you'll need to create a VPN or use a service like logmein.com. Opt for view only access at first: Getting a new accountant is a personal thing. Trust needs to be earned, and you don't want to give some random stranger access to all of your accounts. Ask your banker and credit card companies for login credentials that are "view only". Most companies can create these type of logins where your new accountant can login and view transactions but do nothing else. This keeps you protected as you learn how to work together. The added benefit is that if it doesn't work out, you can simply shut off the access point. Review your aging reports: The outsourced accounting team will be able to fix a lot of errors in your accounting software quickly, but one thing they won't know right off the bat is your standing relationship with customers and vendors. When we get a new client, we almost always have to make adjustments to their accounts payable and accounts receivable aging tables. That's because there are usually invoices or bills in the system that haven't been applied correctly over the years. Print out these aging tables and write notes on which accounts need to be removed or adjusted. Complete the paperwork: Once you've made the decision on what outsourced accounting service you're going to hire, take the time to get the administrative work out of the way quickly. The accountants will likely have a proposal for you to sign along with some additional paperwork to fill out. Don't put this off until later. If you do, you'll end up tying your accountants hands and starting the relationship off on the wrong foot. Get a copy of your last tax return and sales tax return: This will help your accountants tie your records to the last filings you sent to the IRS and local tax agencies. Think Software: Set your new accountant up on all necessary software systems like the time tracker, billing modules, etc. Make a list of memorized bills: Take the time to think through all of the expenses that need to be paid for each month. Make sure your new accountant knows who these vendors are, when payments are due and how much should be paid. Now that you have an understanding of what kinds of items your accountant is going to need, the next question is usually about how to keep the business running during that 2 - 4 week period while they're getting set up. It's true that you accounting team wont be up to full speed during those first crucial moments. Any company that says you can rely on them fully from the moment you hire them is lying to you. Don't switch over during your busiest time of the year. This is an obvious tip that most people think about, but its worth mentioning. Make sure that your business can breath a little and that you can also dedicate a bit of time. After all, you're building a financial system that can scale with your company. That's worth your focus. When you engage an outsourced accounting firm, make sure to create a road map with them before you kick things off. There should be specific outcomes attached to actual dates on the calendar. If you have an assistant that you can rely on, have that person work directly with the outsourced accounting team to get them everything they need as quickly as possible. Even though it takes 2 - 4 weeks to get into the full swing for your company, it's possible to get your outsourced accounting team up to speed on the essentials quickly. I would recommend getting them started on reconciling cash and invoicing customers first. That way, you have your "cash in" system working properly. If you want to have a physical guide in your hands, grab a copy of our checklist. This is the actual document we send to all of our new clients to help them transition over smoothly. I hope it helps you get organized as you consider outsourced accounting for your company.